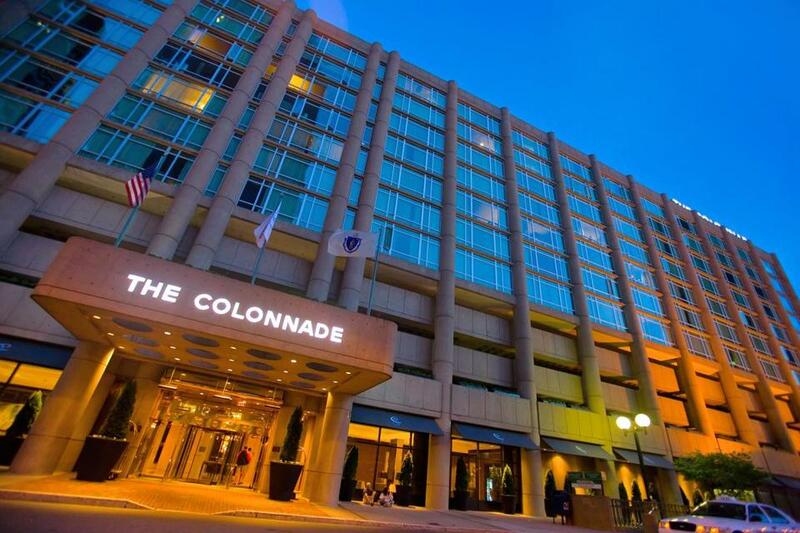 The Colonnade returns as a Hotel Week Boston participant. Hotel Week Boston is now three years old and, like many a toddler, it’s finding its feet and growing ever sturdier. This annual citywide February promotion, which this year runs from Feb. 14 to Feb. 21, includes around 20 prominent hotels, all offering room rate discounts, and throwing in goodies to sweeten the deal. Hotel Week Boston began around the time of the staycation boom and deliberately coincides with the February school break, giving Massachusetts residents the opportunity take advantage of the deal and explore Boston, or see it from another neighborhood perspective. It seems like a simple idea along the lines of restaurant week. But filling beds rather than tables during what is traditionally a quiet period took a local hotel industry veteran to get it going. “It’s been done in New York for a few years by a PR agency, but it included just their clients. I thought it was a good idea, though, and I was shocked when I found there was nothing like it in Boston,” says Elizabeth Stefan, who spent eight years as the e-marketing manager for The Charles Hotel in Cambridge. The setup is different to New York, which runs in early January with set room prices of $100, $200, or $300 per night. Hotel Week Boston has straight discounts of at least 25 percent, many offering 30 percent. Most participating hotels offer freebies such as a bottle of wine or breakfast. Still, it hasn’t been easy, says Stefan. Many of last year’s hotels have returned, including the Boston Harbor Hotel, the Revere Hotel, the Liberty Hotel, the W Boston, and the Colonnade Hotel. “We’ve participated since its inception,” says Christopher Lynn, the Colonnade’s director of sales and marketing. New additions this year include the Park Plaza, Copley Square Hotel, Royal Sonesta, the Sheraton Commander, and Sheraton Boston. Linda Clarke can be reached at soundz@me.com.